For years now I’ve counted Bruce Springsteen as one of my favorite songwriters, but that wasn’t always the case. It’s hard to pinpoint what it was about The Boss that turned me off for so long, but I know exactly what it was that made me realize the error of my ways: He’s got some really, really good songs. Growing up, my mom was a dyed-in-the-wool Springsteen fan, and every Saturday morning I’d wake to the sounds of some Bruce album—usually Live In New York City—blasting in our living room. It’s a tradition I’ve since accepted as my own but, at the time, my punk-loving teenage self wasn’t having it. I saw The Boss—quite incorrectly, I might add—as some bloated vestige of ’70s rock ’n’ roll, which is the last thing that would ever interest a punk-obsessed teen. Though I’d attempt to barricade myself in my room, far from the sounds of Bruce and company, the songs I’d hear coming through the wall were undeniably infectious. They had an energy and urgency that reminded me of the music I loved, and when I found out Springsteen had written songs for Patti Smith and the Ramones I felt it was finally time to give him a fair shake. One listen to “Born To Run” should have had the same effect as someone grabbing me by my shirt collar and yelling, “This might be the best song ever, you dolt!” but being a contrarian meant that realization took awhile. What I uncovered after digging through dozens of Springsteen’s records was twofold: 1) He’s great, and 2) I’m an idiot. 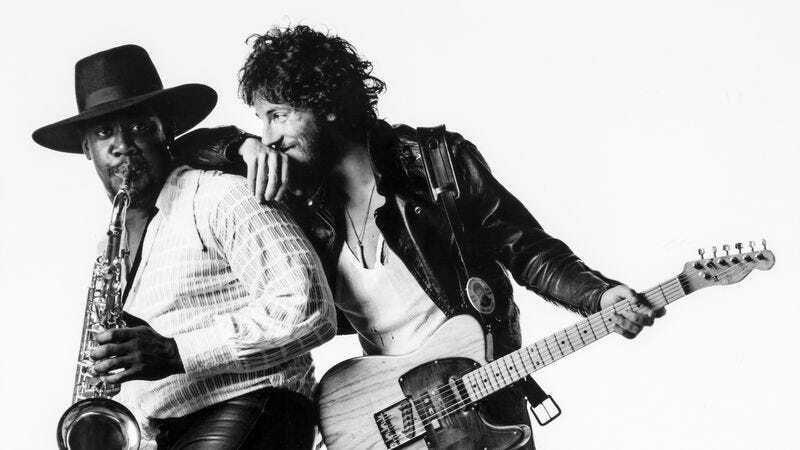 With the 40th anniversary of Born To Run passing last month every type of piece that could be written about the album has been, but it’s deserving of such treatment. After 40 years, it’s an album that’s still completely thrilling, and one listen to the record’s title track proves it. The way Ernest Carter’s opening drum roll gives way to Clarence Clemons’ first saxophone blast is like a deliberator bringing the song to life. And for all the greatness of Springsteen’s voice and that massive guitar riff, it would all feel hollow if not for that glockenspiel. As great as the E Street Band’s performance is, “Born To Run” wouldn’t be the same without Danny Federici chiming the song toward its triumphant end. It’s the gutsy choice to make the xylophone’s ugly cousin the star of the show that made me realize just how daring of a songwriter Springsteen had always been. In one of the most iconic rock songs of the past 40 years, the glockenspiel takes center stage. It’s there, doubling Bruce’s guitar riff. It’s there, transitioning the song out of the bridge into its final chorus. And its there, for every big “Whoa-oh-oh.” Springsteen made a career out of singing for the losers, so it only makes sense he’d give such an uncool instrument the spotlight. To me, that’s pretty punk.